The family of Laurie and Jean Bonnor lived in Tumut from 1952 to 1984. 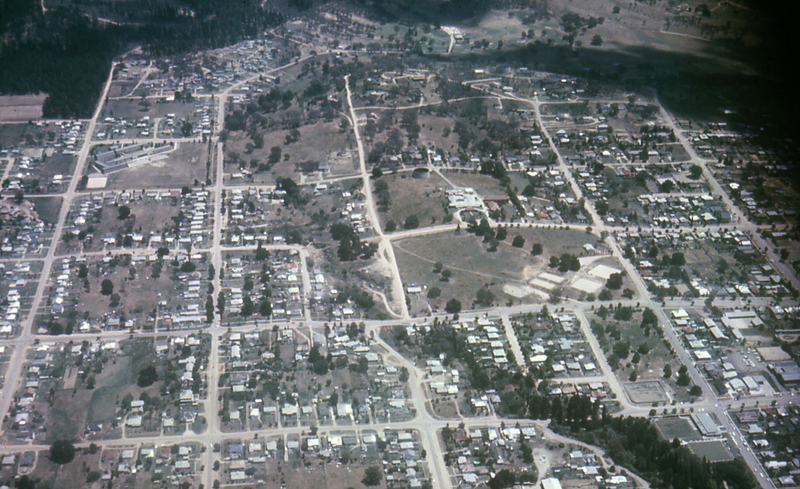 From time to time they went to other towns as Laurie Bonnor sought promotion as a teacher, but always returned to Tumut where he had built a house on the Herbert Street hill, known as ‘teachers’ hill’ in the 1950s and 60s. Laurie Bonnor’s photographs are interesting as most are in colour. The collection, currently being sorted by Chris Bonnor, includes many of the high school and the Tumut district. Laurie Bonnor was principal of Tumut High School in the late 1960s.